Very few people can make use of this site as very few licenses are offered. This license does not encourage any resale or usage of this site or any of its contents for commercial purpose, any gathering and usage of any product classifications, depiction or cost, any secondary use of this site or its contents, any downloading or copying of account information for the gain of other merchant, or any use of data mining, robots or same data gathering and extraction tools. This site or any part of it may not be reproduced, copied, sold, resold, duplicated, visited or in some other way exploited for any commercial use without the express written approval of TheJapanFlorist.com People are not allowed to frame or use framing techniques to incorporate any logo, trademark or other proprietary details (for example text, images, page layout or form) TheJapanFlorist.com and their affiliates, without the express written permission of the former. One cannot use any �hidden text� or Meta tags using the name of TheJapanFlorist.com or trademarks without the express written approval of us. 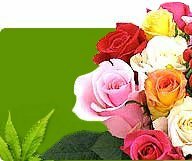 Any kind of unethical use brings an end to the consent or license allowed by TheJapanFlorist.com. People, while using this site, are liable for safeguarding the privacy of their account and password and for restricting entry to their computer. They agree to take liability for all the activities that take place under their account and password. TheJapanFlorist.com does not encourage transactions by children. We allow selling of children�s items purchased by adults. TheJapanFlorist.com may be used by children under 18 years of age but under utmost supervision of parent or a guardian. TheJapanFlorist.com and its affiliates have the right to terminate accounts, refuse services, edit or remove content, or cancel orders at their own will. TheJapanFlorist.com and its affiliates put their best effort to be as correct as possible though they do not guarantee that the product description or other content of this site is complete, latest, or flawless. All the items is manufactured and delivered by Third Party sellers and not by the Company. We offer the best of our efforts to ensure that the products are delivered �as displayed�, but sometimes it may happen that the product may vary a little because of craftsmanship, local traditions and availability of materials. This may occur without any prior notice. This site is not only managed by TheJapanFlorist.com but also by other parties who provide services, operate stores, or sell lines of merchandise on this site. Moreover, links to the sites of certain other businesses is also displayed on our website. Examination or evaluation is not our liability and also the individuals or content of these websites as well as their offerings do not come with our warranty. The liability for the items, actions, or contents of these websites or any other third party does not fall upon us. The privacy statement and the other conditions of use must be carefully read before taking any action. Products which have an MRP restriction are sold on our website after including costs of our services, online transaction and delivery costs. Due to certain technical prohibitions we are unable to show you the individual charges separately and we hope it to be understood. Each and every item that is delivered is subjected to the affirmation and approval of your credit card. If you are not able to pay for the delivery that has been made, then the payment may be obtained from the recipient after due notice to you. Moreover if due to any given wrong address, the delivery fails after being attempted, you might be charged. If, due to late Credit card processing or any unavoidable situation, delivery of the ordered product is delayed, it will be delivered on the next convenient date with a prior notice to you but without your specific approval for this to take place. The right to refuse the delivery of any order without providing any reason to the customer is reserved by Thejapanflorist.com. Although during such cases total amount of the product is paid back to the customer. We only allow visitors to post their comments, ideas, reviews and other contents as well as submit their suggestions, queries or other details. As far as the content is concerned, it should not be offensive, illegal, obscene, threatening, defamatory, invasive of privacy, infringing of intellectual property rights, or otherwise harmful to third parties or objectionable and does not contain software viruses, political campaigning, commercial solicitation, chain letters, mass mailings, or any form of "spam." Using a fake e-mail address, portraying any individual or entity, or misguiding to the source of any content is strictly not allowed. TheJapanFlorist.com reserves the right (but not the obligation) to edit or erase such content, but it does not analyze the posted content on a regular basis. The moment you submit or post your contents, you permit TheJapanFlorist.com and its affiliates a non-exclusive, royalty-free, perpetual, irrevocable, and fully sub licensable license and the right to use, reproduce, modify, adapt, publish, translate, create derivative works from, distribute, perform, and display such content in any media throughout the world, unless we indicate otherwise. TheJapanFlorist.com and its affiliates have the right to use the name under which the contents are posted, if they intend to do so. You represent and warranty that you are the owner and manage the rights to the contents that is posted by you, that the content is true, that use of your posted content does not breach the policy and will not cause harm to any person or entity and that you will repay TheJapanFlorist.com and its affiliates for all allegations resulting from the content posted by you. TheJapanFlorist.com reserves the right but not the responsibility to control and erase or edit any content or activity. The liability for any content or activity posted by you or any third party is not taken by TheJapanFlorist.com. If the Company and its Associates are being charged upon an allegation or claim arising from the violation of the Terms and Conditions of Use, then you must agree to indemnify, defend and hold harmless the Company and its Associates from and against any and all liability, claims, costs and expenses (including without limitation reasonable legal fees and expenses). The Terms and Conditions of Use shall be governed without reference to the conflicts of laws principle, by the state laws where the Registered Office is located and not by the U.N. Convention on Contracts for the International sale of Goods. The policies and Terms and Conditions of Use on this website contain total agreement between us and substitute any other advertisements or communications with respect to the website of TheJapanFlorist.com The disclaimer of violation of any term hence shall in no way be constructed as a disclaimer of any other term or violation. Agreeing to these Terms and Conditions of Use warranties and represents a person and he gets the authorization to bind and does so bind his/her employer or principal and to enter these Terms and Conditions of Use he gets enough legal capacity. Without the prior written permission of one may not apply these Terms and Conditions of Use or any commitments or rights TheJapanFlorist.com hereunder, directly or indirectly, by operation of law or otherwise. These Terms and Conditions of Use and rights may be assigned to any entity by TheJapanFlorist.com. As subjected to the prior sentence, the Terms and Conditions of Use shall be accustomed to the gain of and be binding upon the parties and their individual successors and granted assigns. It is strictly prohibited to use the website of TheJapanFlorist.com for sending unsolicited advertising, promotional material, or other forms of solicitation to other users, except in specialized areas, if any, that are meant for such a purpose. The images, graphics, texts, logos, button icons, audio clips, digital downloads, data compilations, software and all the contents shown in this site is the property of TheJapanFlorist.com and its suppliers and is protected by United States and international copyright laws. United States and international copyright laws also protect all the software provided on this site which is the property of TheJapanFlorist.com or the suppliers of its software. The trademarks and trade dresses of TheJapanFlorist.com, without their prior written approval may not be used. Trademarks that appear on this site but do not belong to Thejapanflorist.com are properties of their respective owners, who might or might not have the affiliation, sponsorship or connection to TheJapanFlorist.com. 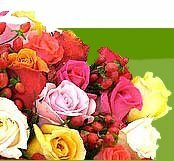 TheJapanFlorist.com tries their best to serve proper and timely information regarding the products. It may happen that due to receipt of incorrect information from our suppliers or outside sources, discrepancies or inaccuracies may arise. In such cases, if you come across any information displayed on our website that seems inappropriate to you, kindly tell us.